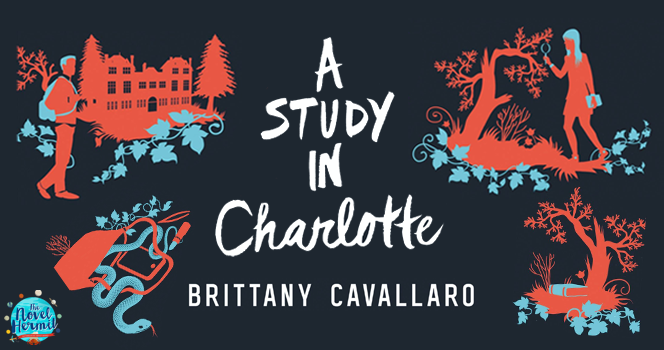 What does A Study in Charlotte have that most YA Sherlock retellings don’t have? Well, lots of references to Sir Arthur Conan Doyle’s stories, Charlotte Holmes and James Watson as real descendants of their ancestral namesake, and so much more you know you wanna find out. Despite being descendants of their namesake counterparts who you’d think would personally know each other, James Watson and Charlotte Holmes are strangers, but it’s not until James is shipped off to Sherringford, a Connecticut boarding school, from London that he meets the illustrious detective Charlotte, the object of his fascination. There, these two teenagers will band together to clear their names when they become the prime suspects of a student’s murder. Holmes and Watson are together again. What kind of crazy mischief do they get themselves into?